Hear a new THEMPeople-produced track from the Chicago rapper. 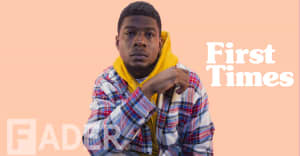 On "A Layover" Mick Jenkins alternates between heavy bars and soulful singing over the fluid and laid-back beat. The song is the first we have heard from the Chicago rapper since he dropped “Pressed For Time (Cross My Mind),” a collab with Goldlink, in March. Jenkins's last full-length project, The Healing Component, was released in September 2016. The album featured guests including BadBadNotGood, and Noname plus production from Kaytranada and THEMPeople. Listen to “A Layover” below.